Shu, JN6RZM .. thanks for the concern over the OC144, sorry .. at the IOTA contest 2013 I just pile-up in the 21 237 not 21 260, at a frequency that is not me you are probably wrong. H44S (OC-285), R10RLHA (AS-149), H44IOTA (OC-149), H44IOTA (OC-047). Many thanks to expeditioners and QSL managers. Some extra money for YE5S & YE5T from DX World advert fund. Please add logo to QSL card / banner etc. Good news to day, we will qrv from 26 August until 26 September. I get the licencses to day and our call sign is YE5T for Tambelan Isl and YE5S for Serasan. The operator me, Anton, Jony Salim, Armen. 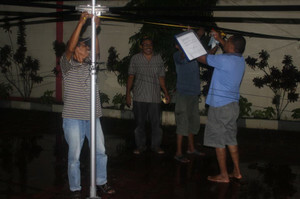 (all operator YB8P) and the new one is YE5WM Willy Mondorongin and 2 person from Batam. QSL MGR om Steve W2FB...our license 26/08 until 26/09. 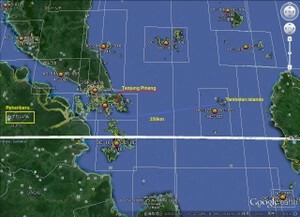 I will going to Tanjung Pinang for check our transportation on the middle of August. That's all our dx'pedition plans, how do you think Shu san. You are very very very GREAT ! and hopefully you will count 71 islands. 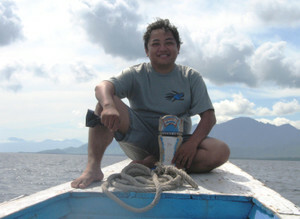 > I just received OC-236 YB8RW/P Bunaken Island. > I make a 70 endorsement for Nusantara Award. > Attachment. 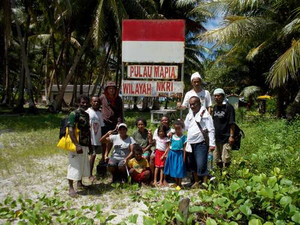 Please check red marker for 10 Islands. 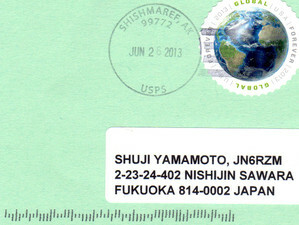 > Please see from Adhi-san's pic QSL card to end. > I send you 2USD via Paypal. > Thank you very much for your supporting. Logs that I uploaded to LOTW for June 13, 2013 OC-168 were from 1 op only. It turns out that those QSO's were Maritime Mobile. I am working with the folks at ARRL LOTW to correct this. I am OK for your Sked. And I am waiting for your time after returning from Jakarta. And I hope you have new license and callsign. My friend Pri YB0ECT would like to support for Linier amplifiers on OC-276 YB9Y IOTApedition. 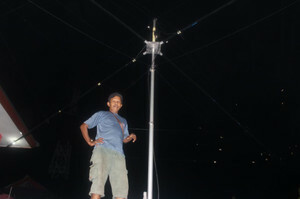 >Liniers are usefull for on the air in our activity, 500w or 1 kw is good enough. small size and heavy duty is confortable. My JA friends team will be supporting for OC-276 YB9Y team. But I will be able to gather about 500-700USD. P.S. 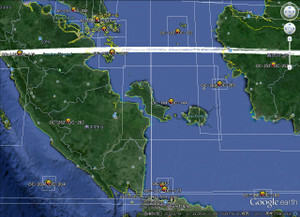 JA friends team have already sent YB5NOF John beam antenna(abt 700USD) for OC-122 Tambelan Island and OC-109 Natuna Selatan Island. 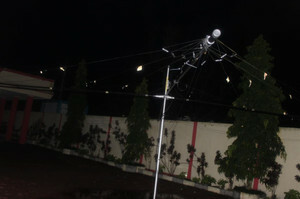 He received and set up this antenna in his garden. I hope that you are OK with your family in your City. 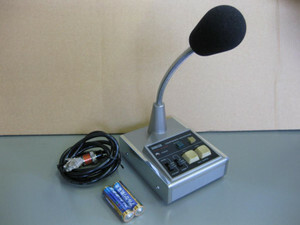 First,I thank you very much for your kindness will be help me/support the deskmicrophone by communication with my best friend Shu-san JN6RZM. Again thank you very very much for this one and also thank's to Shu-san. Bye for now T-san and hope to work you from the other island dx-pedition. I have good news. John will go to OC 122 next month. This is sooner than the initial plan. Please tune in and Shu San will have further details. In the meantime I'm trying to convince him to use W-2 FB again as QSL manager. Weather permitting, he will continue on to OC 109. 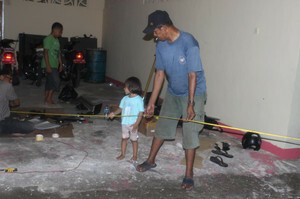 All this will have to take place after the Muslim holiday Idul Fitri on August 8 2013. 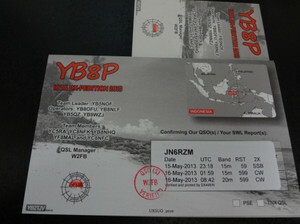 YB8P qsl request is processed weekly. 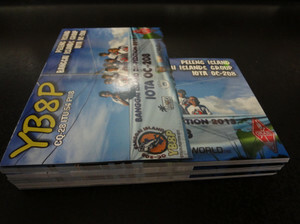 If you sent your QSL before July 1 and have not received your card please drop me a line. 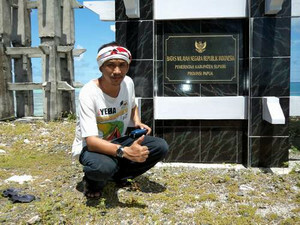 Of cause, I would like OC-122 Tambelan Island. I say to you for the first time. The 1st is OC-122, the second is OC-157, and the third is OC-208. 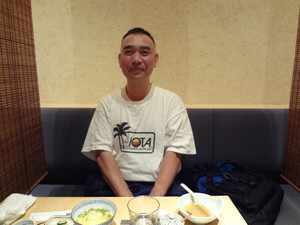 I am very happy I have good friend YB5NOF John-san. Did you can arrange for The end of August we go to OC 122 ???? How about this season's condition? YB to JA is good condition, but to NA East coast is not so good. If you can, you should have plan for OC-122 on Oct to Nov. But if you have another plan for OC-122 again, it's OK for the end of August. It's so dangerous for us so I thing it's ok on the middle of August and if possible we try for OC 109 too, depend on transportation. Thanks for nice information. So I and friends hope your safty trip for the first. I understood for your reason. Please make those plan. 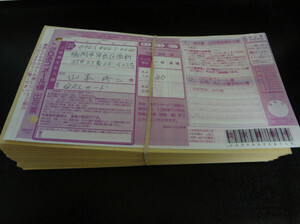 Koniciwa' Shu san, yesterday I have take the antenna from Post Office with more then 100 qsl card...2 of them was broken by the CATS ??? 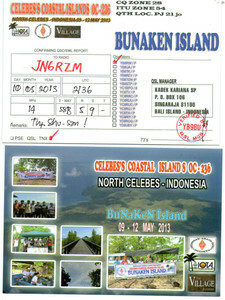 hi hi hi Now I still waiting for the QSL CARD from om Steve...special for JA stn I will send the list of stn received. 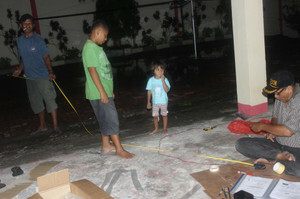 Arigatouw for Ur supporting us with the antenna. In this month until August I can't do nothing for iota, I will active again on the middle of August OC 122 have a good news, now has a small sheep every one week to the island from Tanjung Pinang OC 75...it's take 2 to 3 day's...so I will try to go to Tanjung Pinang make sure the information, btw it's can do on the end of this month. Sry I mean to OC 122 Tambelan Isl, from Tanjung Pinang OC 75...so I can stand by waiting the sheep and on the air for 3 days and go to OC 122 for 1 week waiting for the next sheep from Tambelan to Tanjung Pinang. Thank you very much! 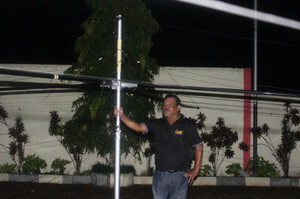 I am very happy you received HX52A antenna. How are you my friend ?? Hope all OK with you and your family. Please send me the list of JA friends in request for OC-236,because the cards are ready now and hopefully go out by July 15. I'll be sending in to your address as soon as possible. PS. 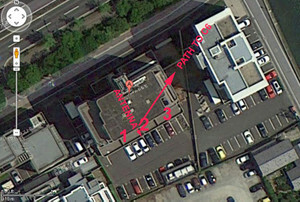 I think JF4VZT,JG1UKW and ???? but with good conditions i am sure that we can work ...I will call you for some minutes from 21:00 utc to 21:10 utc and pse listen on 14.028 +- 2 up or down today evening (here) . Hope to see you. But if you listen me anyother time try some calls. Here is the compilation data of QSLing from Antonio IZ8CCW. 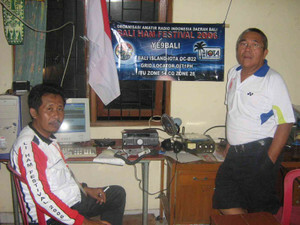 Actually he is doing well as QSL Manager. 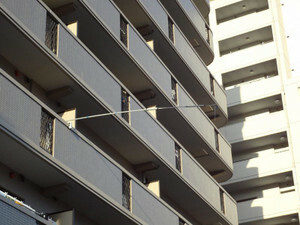 He just started to reply from yesterday, since he was on other city for several weeks. How do you do...the ant doesn't come hope a few days more...we need it on September Shu san. Donation from IREF nothing until to day. It can many stn who's have qso especially for loses qsl card via our post office. 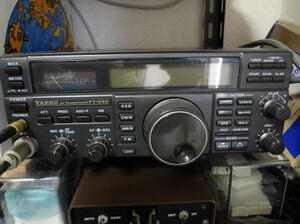 Pse inform to our Japan stn who's have qso with me since 2000, But for my qso before 2000 the log-book was losed...just for Togian isl still have on my desk. I will make my endorsement for Nusantara Award 70points this week. Wow!! I had 60 points before endorsement. Probably, I will recveived OC-208 QSL card this week from W2FB. 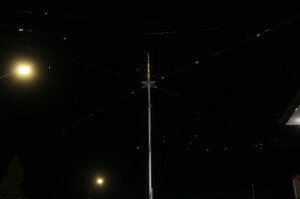 And If YB3MM are OK for OC-245 Breueh on the log, I am able to OK for counting. Thanks for your undestanding and supportings. 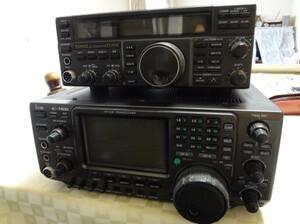 Tnx again for your kind PayPal support to the NA-152 and other IOTA Expeditions. Sorry a last minute cancellation (postponement) of the NA-050 trip was necessary. Many delays now in flights re-routed to the San Jose airport. How are you ? Fine I hope as usual. Here I attached the proposal of Mapia IOTA DXPedition OC 276. If you and your JA IOTA Chasers who want to donation,... please welcome. 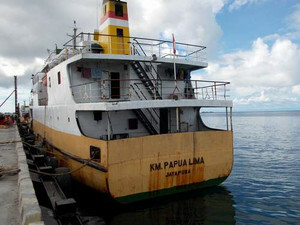 I and the team will fly to Biak and then with ship to mapia island, later on October 2013. I let me know if you and your JA IOTA chasers will interest for donations. 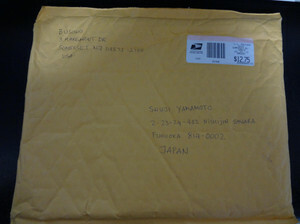 Thanks Shu,... and have a nice weeks ! JA donor cards have been prepared and will be mailed out tomorrow. Today post office is closed. Our independence day we enjoy barbeque in the backyard. 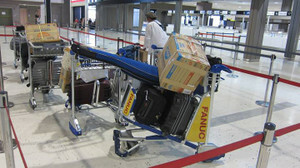 Ralph and Penny will be heading back to oc-158 to celebrate the 35th day of Independence of the Solomon Islands. Please visit www.qrz.com/db/h44ind for more info. as soon as there is a suitable weather window, the two will be sailing on to the Temotu Province to install the first ever VHF maritime safety pilot project. This project is proudly co-funded by many Hams all over the world who have donated to this great life saving humanitarian idea; we thank all those who have contributed, large and small. 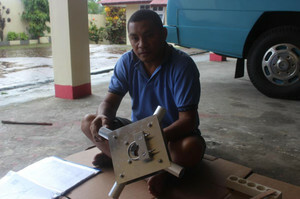 Pleased stay tuned to our qrz.com/db/h40iota page where we will be hoping to give you updates and news of the progress there and we look forward to working you from this so very remote area in the Solomons towards the end of July. many thanks to all our supporters, the H44iota Team. I have now finished mailing all direct requests received to date for YB8P. There are about 10 or so problematic NIL that requires further checking and those who requested multiple calls (other YB cards) in the same envelope that need extra processing time. I have also finished mailing all OC 208 Donors, USA and EU should have received their cards directly from me. JA Donors will get them from Shu San JN6RZM. 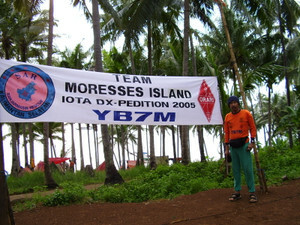 I have also now received logs for YB9WZJ/p and YB0MWM/9 from Doom Island OC-239. 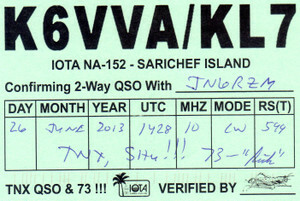 I have also some QSL cards and can confirm with QSL cards if you are in the log. Please do not send me your SASE if you did not work them. Thank you to all who have supported YB8P. Found him logged incorrectly as W0GQG at 2325z. Ok on all donors. All usa and eu donors on ur list already sent. Only JA still not sent. I just printed the labels for all JA donors 108 qsos in all some made 6 and even 7 qsos. Do you want me to send all to you ? It is very late here, tired from working long day at the clinic, I am going to sleep soon. all YB3MM/6 (Breueh Is. OC-245), YB3MM/2 (Karimunjawa Is. OC-186), YB3MM/P (Madura Is. 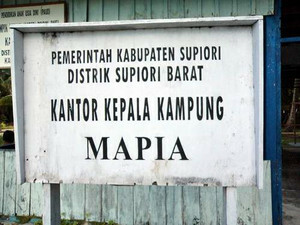 & Karangjamuang Is. OC-237) are now okay QSL via direct and Paypal transfer. Don't expect too much if you send your card via YB bureau. It will take more than 3 years. 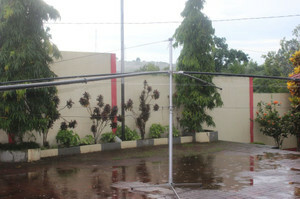 Please direct to www.nusantaraaward.com for details. 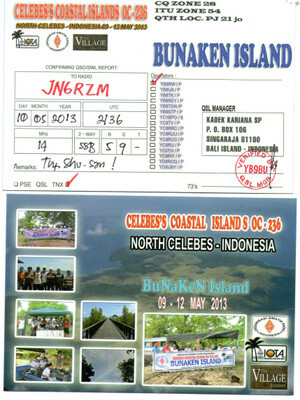 I am QSL Manager for 8A3B (direct only),YB2TET (direct & buro).